My friends and students are often asking me how to keep their skin looking healthy, young and natural like mine, my answer is I really make sure that my skin is super clean before I sleep and place a mask over my cleansed face for 20-30 minutes. 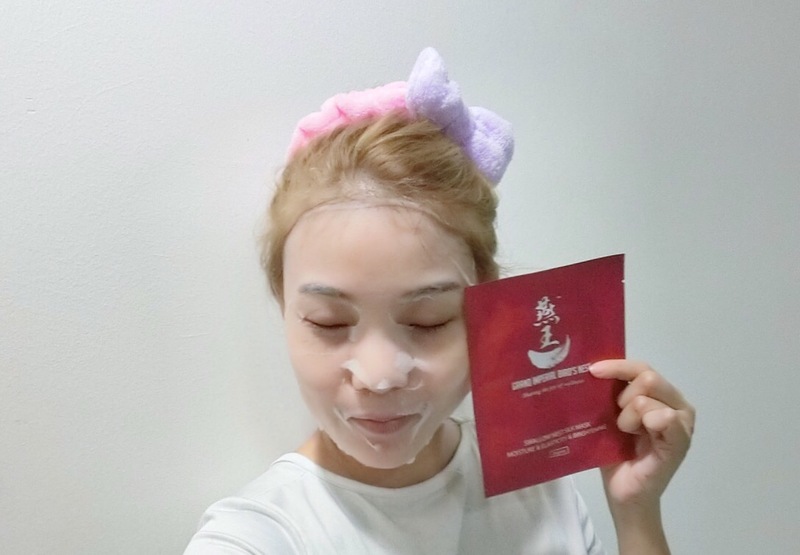 This time, I have tried out the Grand Imperial Bird’s Nest Swallow Nest Silk Mask. Grand Imperial Bird Nest uses only bird’s nest that have been carefully harvested and is manufactured using advanced technology in a GMP & HACCP certified facility. Grand Imperial Bird’s Nest Swallow Nest Silk Mask is 100% natural & free of preservatives, artificial flavorings & colorings. It is rich in protein & nutrients to promote a radiant complexion & good inner health. Bird’s nest has high glycoprotein content, growth factors according to traditional Chinese medicine, a long list of health benefits. This explains why women love bird’s nest. Grand Imperial Bird’s Nest Swallow Nest Silk Mask helps lighten dark spots, brighten and smoothen the skin complexion. Use it regularly to improve fine lines and suppleness. This facial mask goes on like silk, it leaves my skin feeling fresh rather than coated in a sticky residue. This mask is great to restore the moisture in the skin, which is lost in the dry heat after a whole day out. Previous Post Are Fair-Skinned Women More Attractive Than Dusky Ladies?